Home >> Nanoyou project >> News >> A new generation of pilot schools to join the NANOYOU project! A new generation of pilot schools to join the NANOYOU project! 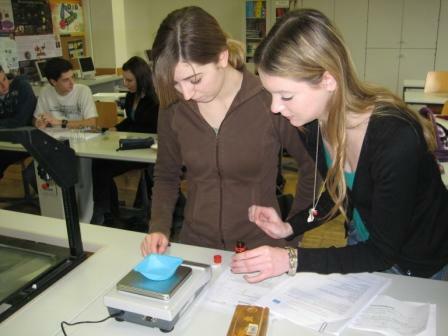 During the 2009-2010 school year 24 pilot schools from all over Europe participated in the NANOYOU project, testing the tools and participating in the different activities with their students. A new generation of pilot schools has already been selected for the 2010-2011 school year. Below you can find the list of the 26 new pilot schools that were selected from over 500 applicants. The new pilot schools are based in the Czech Republic, Denmark, Finland, France, Germany, Hungary, Italy, Portugal, Romania, Slovakia, Sweden, Spain, Turkey and the UK. Schools interested in participating in the project are invited to register as NANOYOU schools. Information on how to participate will be sent after registration. Mendelova střední škola, příspěvková organizace, Nový Jičín, Šenov u Nového Jičína. Maunulan yhteiskoulu ja Helsingin matematiikkalukio, Helsinki. Bánki Donát Műszaki Középiskola, Nyíregyháza. Kossuth Lajos Secondary Grammar School, Mosonmagyaróvár. IISS “G. Peano – C. Rosa, Nereto. ISIS Cavazzi Sorbelli Liceo Scientifico, Pavullo. Escola Secundária Francisco Simões, Almada. Escola Básica e Secundária de Santa Maria, Vila do Porto – Azores. "CALISTRAT HOGAS " National College, Piatra Neamt. Secondary School nr.2, along with Children's Club Zimnicea, Zimnicea. Gymnazium Janka Jesenského, Bánovce nad Bebravou. Escola Gavina SCV, Picanya (València). IES Sant Just Desvern, Barcelona (Catalunya). UPS Haluk Ündeğer High School, Istanbul. TED Afyon Koleji Özel İlköğretim Okulu, Afyonkarahisar.